It isn’t unusual for dog owners to take their furry friends along for trips in the car. After all, a dog is supposed to be man’s best friend. Even if you have the most well-behaved dog around, trips together to the park or errand runs can leave behind undesirable odors. The good news is that dog odors are generally easy to remove, and with periodic attention, you can even continue to spend quality time with your dog on the road. 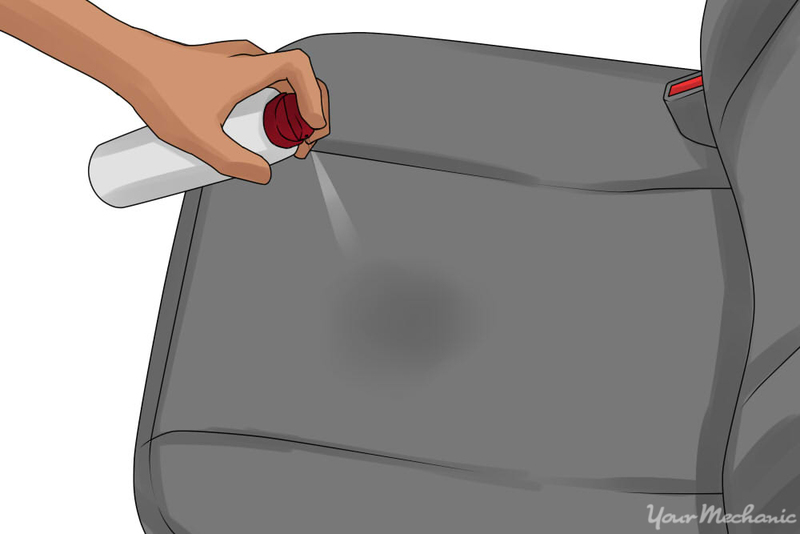 Note: Before attempting any of the methods below, first vacuum your upholstery with a hand-held vacuum, a wet/dry vacuum, or a vacuum at a self-serve car wash. This will remove any loose dirt and pet hair, allowing you to better attack the source of offensive pet odors. Otherwise, your efforts will be much like trying to cleaning a tile floor with a dirty mop - simply moving around grime without achieving the cleanliness and fresh smell you desire. Baking soda is known for absorbing odors without adding any unwanted ones of its own. That’s why many people leave an open box in their refrigerators. This same principle works well in cars to remove minor pet odors. Step 1: Pour baking soda into a bowl and place in car. 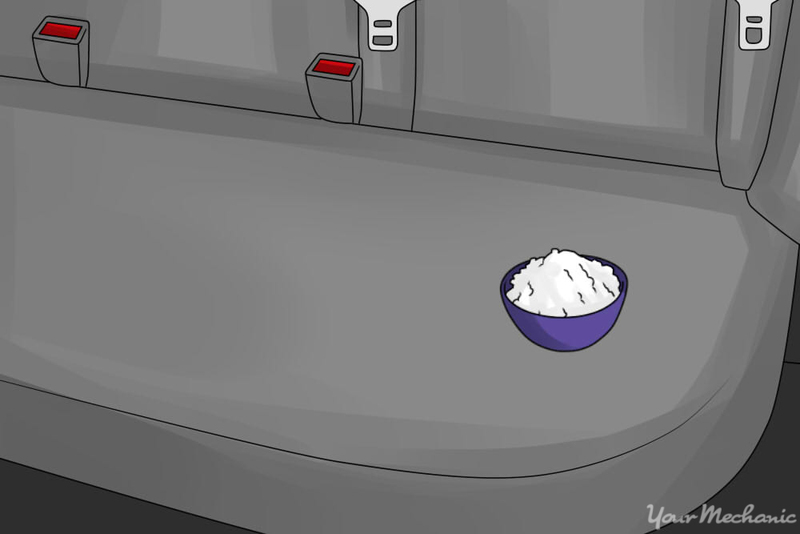 Pour a ¼ cup of baking soda into a bowl, and place it in a central region of your car. Make sure you carefully place the baking soda in a location where it will not spill over, such as the middle of the dashboard or on the center console. Step 2: Allow the baking soda to sit overnight. Allow the baking soda to sit undisturbed overnight and work its odor-absorbing magic while you sleep. Step 3: Remove and discard the baking soda. When you’re ready to drive your car again, remove the bowl, and discard the baking soda. Tip: You may need to leave the baking soda in your car for several days for more stubborn pet odors. When the water evaporates with vinegar in the air, the mixture will cause a neutralization reaction between the chemicals of the odor and the evaporated vinegar. This can be a another great option for removing dog odors in your car. Step 1: Create vinegar solution. Mix equal parts white vinegar and water in a spray bottle. Step 2: Spray the solution. Lightly and evenly spray the solution on any fabrics of your car’s interior. You should apply enough of the water-vinegar mixture to feel damp to the touch but not so much that you fully saturate the interior’s fabric. Step 3: Let dry and repeat as needed. Allow the vinegar to air dry over a few hours, and repeat this process if any odors remain. Dedicated pet odor removers can also target odors left behind by your dog. This option can directly target the chemicals of a stain or odor, but this may also be more costly and require more effort. Step 1: Spray cleaner over fabrics. Spray the cleaner liberally over any fabric regions you notice have odors. Step 2: Use brush to bring grit to surface. Gently use a bristle brush to bring any smelly grit or grime to the surface. Use light pressure, moving the brush in small, circular motions to prevent damaging your upholstery. Step 3: Allow cleaner to sit. 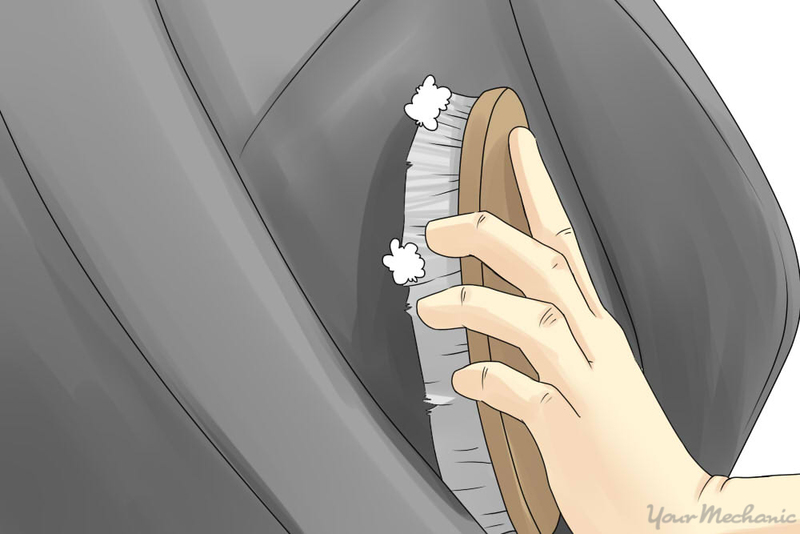 Allow the cleaner to sit for as long as indicated on your particular product’s directions. After the cleaner has done its job on the fabric, the smell should now be gone. Step 4: Vacuum any remaining residue. 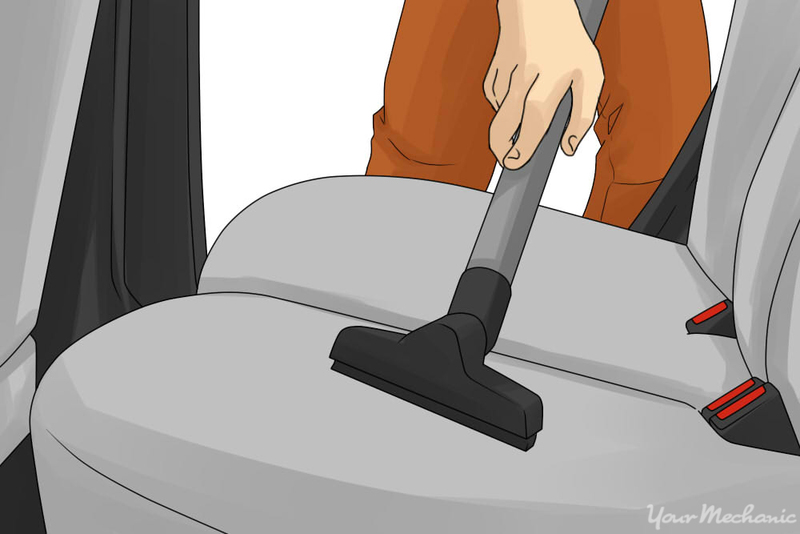 Vacuum away the residue using a hand-held vacuum or wet/dry vacuum with attachments. Tip: You may first wish to try this process on a test area of your car’s upholstery to ensure it does not discolor the fabric or otherwise mar its appearance. Choose a region that is out of easy view to try the cleaner out. If none of the above methods work to remove the source of the dog smell in your car, you may wish to enlist the help of a professional auto detailer. Such professionals have access to industrial-strength products that work on tough pet odors, that will leave your vehicle smelling fresh again. 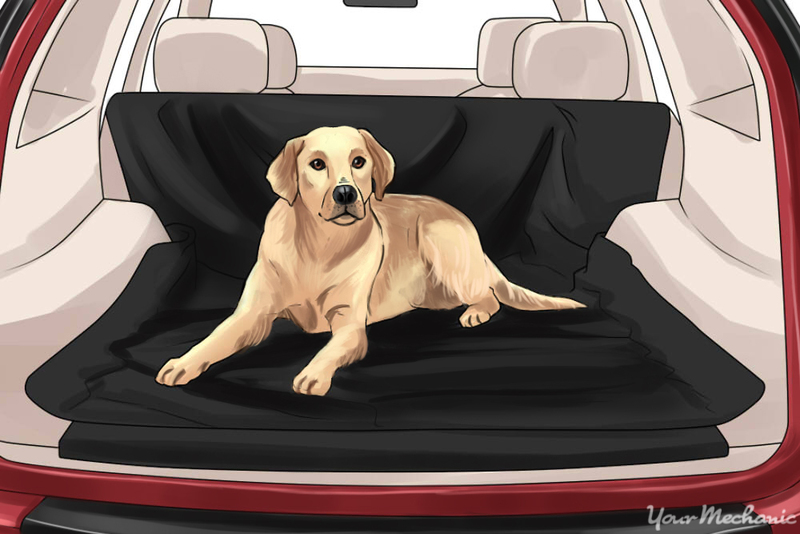 If you still want to bring your pooch along for trips after removing such stubborn dog smells, consider laying a blanket where you pet will lay, so you can easily remove and wash it when the trip is over. Also, attend to any pet-related accidents immediately to prevent offensive odors from setting in. These efforts are the small price to pay for the joy of your dog’s companionship on the road. Q: How do you maintain the touchscreen?